 Feb. 13, 2019 - While the February 17 Financial Action Task Force (FATF) ultimatum is approaching fast for the Iranian regime to pass all the necessary laws to conform by international anti-money laundering and transparency standards, the controversy around the bills and joining the de facto international anti-money laundering body is increasing. In addition, Europe’s condition for Iran to pass the FATF bills before being able to benefit from INSTEX—EU’s financial mechanism for Iran to circumvent U.S. sanctions which analysts believe is nothing more than a disguised oil-for-food program—has further complicated matters for Iran’s ruling mullahs. Heshmatollah Falahatpisheh, chairman of the Security and Foreign Relations Committee in the Iranian regime’s Majlis (parliament), tried to downplay EU’s conditions on implementing INSTEX. “In contrast to what has been said, in the E3 [Germany, France, and the UK] statement about INSTEX, there is no condition for FATF and the word ‘expect’ is used which means that the Europeans expect Iran to accept this mechanism. However, they haven’t conditioned the implementation of this financial mechanism to Iran accepting the FATF,” he said. All the while, Laya Joneydi, Iranian regime Vice President in Legal Affairs, bluntly rejects Falahatpisheh’s reading of the statement. “This mechanism has a substantial condition, based on which the mechanism works and continues as long as Iran is committed to the 2015 nuclear deal. The formal condition of the mechanism is to completely implement the standards provided by FATF,” she said. The situation has become so complicated that Iranian officials feel confused about how to choose and what decision to make. “We were not sure about accepting the FATF, but Europe’s outrageous statement and its condescending conditions for trading with Iran in INSTEX have shown that if you concede in front of bullies, they become bolder and there is no end to it. Experience and reason show that begging the bully makes people’s livelihoods only worse,” wrote Ahmad Tavakoli, a member of the Iranian regime’s Expediency Council. This confusion about the FATF and the ensuing quarrels between different factions of the ruling elite is rooted in the Iranian regime Supreme Leader Ali Khamenei’s own indecisiveness. Back in October 2018, Majlis Speaker Ali Larijani read Khamenei’s comments about FATF before the entire parliament, which essentially dodged the million-dollar question and put the decision burden on the parliament. “I’m not opposed to studying these bills in the parliament so that it can go through their legal process,” Khamenei said. But after four months of dodging and double talk, Khamenei finally revealed his fears of joining the FATF. The Asr-e Iran website published a quote on February 9 from Davoud Mohammady, chairman of the Majlis’ Article 90 Commission. “I have heard with my own ears that the Supreme Leader doesn’t accept the FATF and therefore I didn’t sign,” he wrote. Europe’s FATF condition for INSTEX puts the Iranian regime at a dangerous crossroads. Accepting the FATF means self-sanctioning the Revolutionary Guards (IRGC) and a myriad of other semi-official institutions that make a living by financing terrorism and money laundering. On the other hand, if the Iranian regime does not pass the FATF bills into law, more international isolation will be awaiting its already-crumbling economy.